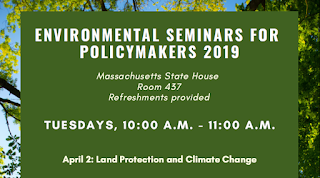 I was asked by the Massachusetts Nature Conservancy to help kick off their first of a series of Environmental Seminars for Policymakers at the State House. 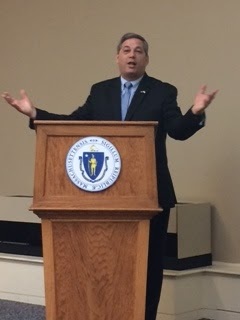 Two of my bills were featured in today's session. 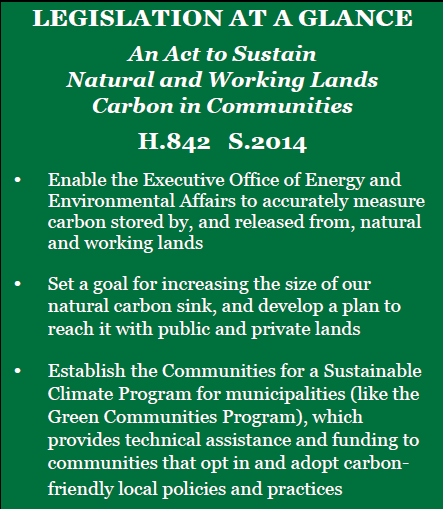 The first, an Act Increasing The Land Conservation Tax Credit, increases the credit allowed for donations of conservation land and expands eligibility for receiving tax credit to include certain nonprofit trusts. 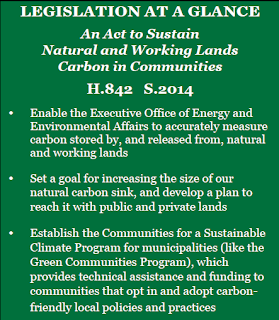 The second bill, an Act to Sustain Natural and Working Lands Carbon in Communities, will establish Massachusetts as a national leader in using nature to remove carbon pollution was a featured topic. 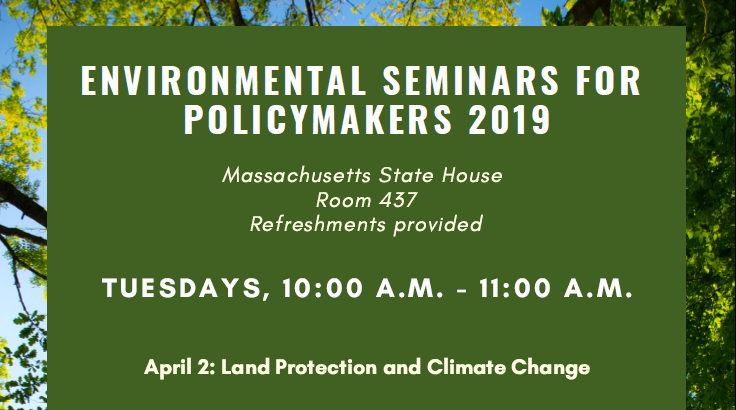 The seminar was supported by The Nature Conservancy, Mass Audubon Trustees, The Trust for Public Land, Charles River Watershed Association, Climate Action Business Association, Environmental Entrepreneurs, Health Care Without Harm, Massachusetts Climate Action Network, Mass Land Trust Coalition, Massachusetts Rivers Alliance, Union of Concerned Scientists.